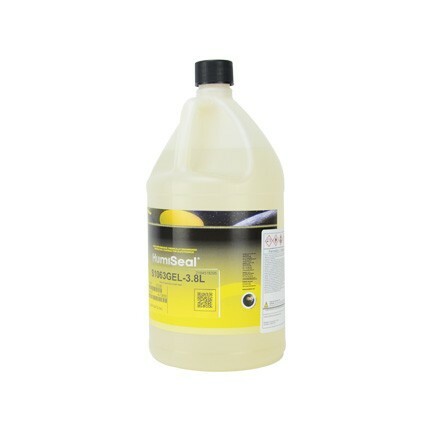 HumiSeal® 1063 Stripper Gel is a non-acidic, non-destructive, selective stripper that can be used on neoprene, Teflon, nickel, silver, gold, copper, polyethylene, and most vinyl coated wires. It dissolves cured HumiSeal® polyurethane coatings without affecting printed wiring board components or substrates. 3.8 L Jug. Effectively dissolves all cured Humiseal polyurethane coatings without affecting most types of printed circuit boards and components.